We are a freshwater tropical fish wholesale supplier located near Washington DC and import directly from Malaysia and other countries around the world. We have supplied wholesale tropical fish to pet stores in the United States for over 25 years. 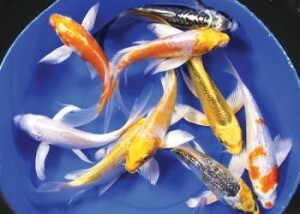 In this article we feature the popular Koi fish from Malaysia. In extreme Southern Asia, just above Indonesia is Malaysia. We use MALAYSIA for our primary source of KOI. Although Koi are offered from Hong Kong, Singapore, and Bangkok, we feel that MALAYSIA offers the best quality Koi for the money. 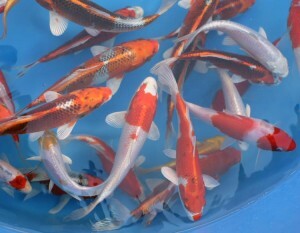 MALAYSIA Koi are a lower grade than High Quality Japanese Koi, but are much higher quality than domestic Koi raised in the United States.